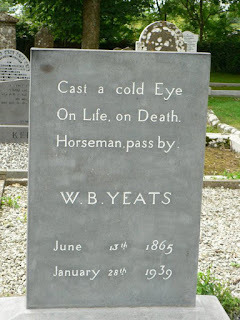 The real world that Yeats lived in was often the subject of his poetry. He did not shy away from discussing personal events in his life and even named names of those he knew and loved, immortalising them forever in verse. However, he was not bound to this ‘real world’ for inspiration. 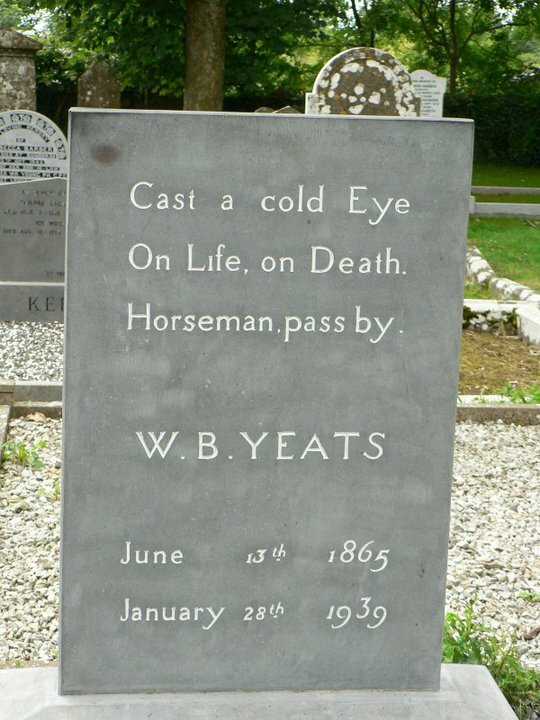 He could be transported to another reality in his poetry, and the act of travelling through time and space is often the very theme which so attracted Yeats. Yeats uses the tension between the real world in which he lived and the ideal world of his imagination, to create drama in his poetry. In the poem, ‘The Lake Isle of Innisfree’, the speaker describes a real island in Sligo and colours it for us in a glimmering ‘purple glow’. He tantalises our senses with details of ‘the lake water -lapping with low-sounds’ and the delicate music of crickets singing. 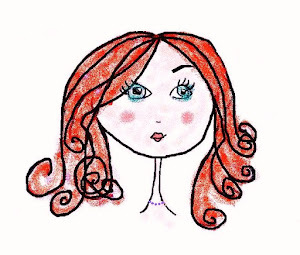 It’s an ideal world, a paradise of tranquility, where ‘peace comes dropping slow’. It seems a very real place indeed. The poet’s opening refrain, and the repetition of the words, ‘go’ and ‘there’, only serve to increase the sense of urgency and arouse the reader’s desire to make the journey to Innisfree too. However, the drama comes to a climax when we realise, at the penultimate line, that the speaker is far away from the land of his heart’s desire and is not really seeing the island. It is an imagined, ideal world. The contrast could not be more startling when he says, ‘While I stand on the roadway, or on the pavement grey...’ Only now, does it become clear to the reader, that the journey being undertaken by the speaker, is one of the imagination, creating a sense of anti-climax and disappointment. The use of the colour detail here, or the lack of it, is in stark contrast to the purple hues of the second stanza. By juxtaposing the two landscapes in this way, Yeats creates dramatic tension between the real world of the city, where the speaker actually is, the imagined, ideal, world of Innisfree, where he would like to be. ‘Sailing to Byzantium’ is another poem whose theme deals with the notion of escape and travel through the world of the imagination. However, here Yeats creates dramatic tension by contrasting the world of mortal men; the real world, with that of the world of art; the ideal world of the imagination, primarily through his use of opposing imagery. In this poem, the real world of nature no longer satisfies the speaker, and instead he seeks solace and immortality in the world of art. The image of the singing birds of line two and three, ‘at their song’, is maligned by the fact that it is merely singing for ‘those dying generations’, a pointless activity. 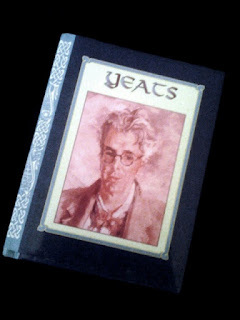 In doing so, Yeats highlights the tragic flaw of the real world: everything that lives, must die. He describes an old person as ‘ a tattered coat upon a stick’, a brutal image indeed, and his own soul as a thing, ‘sick with desire and fastened to a dying animal’. This bleak, anti-Christian idea graphically illustrates Yeats’s dislike for the real world at this point in his life. Instead, he seeks an alternative, ideal world, where immortality is guaranteed. The ideal, imagined world that the speaker chooses is the world of Grecian art: ‘such a form as Grecian goldsmiths make...’. He imagines being re-born as a beautifully crafted, golden automaton, ‘set upon a golden bough to sing’. This is in stark contrast to the real singing bird of the opening stanza. These opposing, yet linked, ornithological images serve to highlight the tension in Yeats poetry between the real world in which he lives, and an ideal world that he imagines.